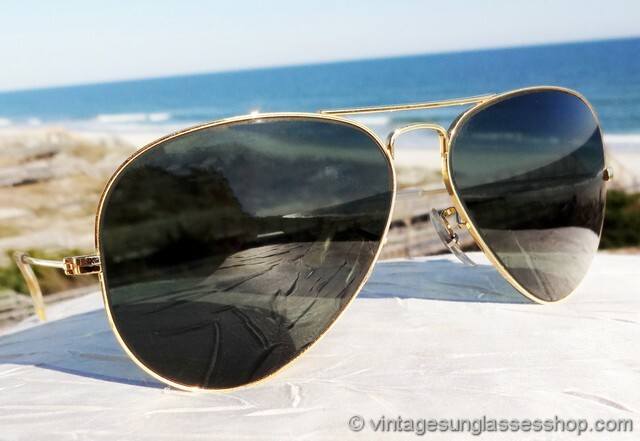 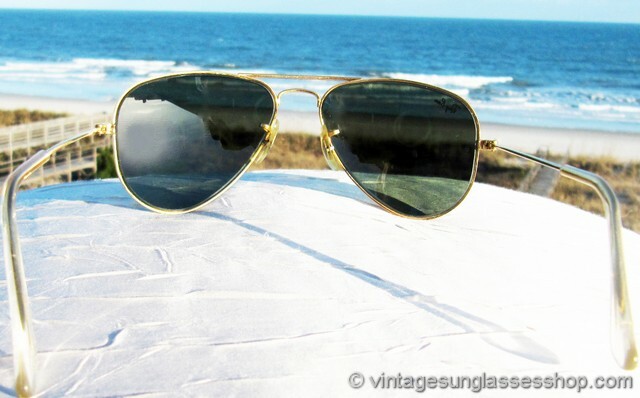 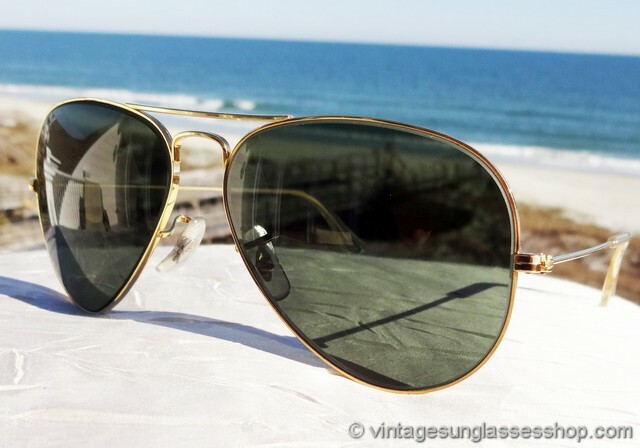 1 Vintage Ray-Ban 10k gold filled 62mm aviator sunglasses are icons of the 1940s and 1950s when they were the choice of pilots and the military around the world - and perhaps still even more so today! 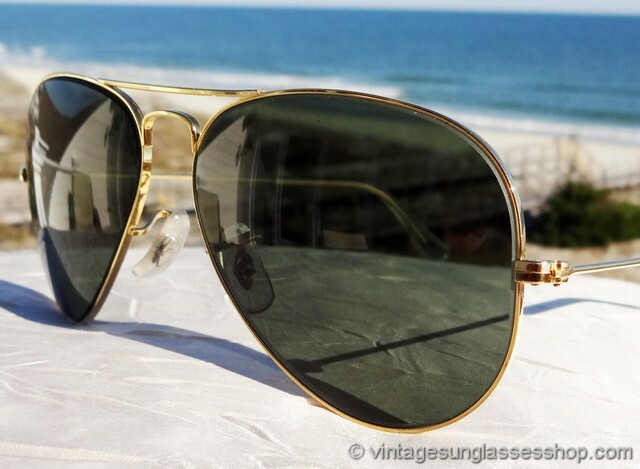 These early 10k gold filled Bausch & Lomb frame and Bausch & Lomb RB-3 green anti-glare lenses were originally developed by B&L for the U.S. military. 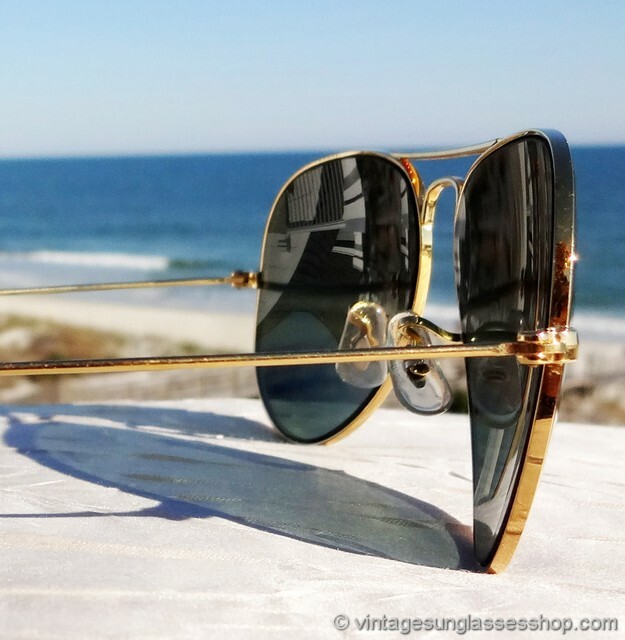 The 10k gold filled frame means that these sunglasses will last for another 60 years, and the teardrop shaped lenses that provided optimal eye protection from the top, bottom, and sides were the innovative part of the design that became part of the allure for pilots and the military and now for consumers worldwide. 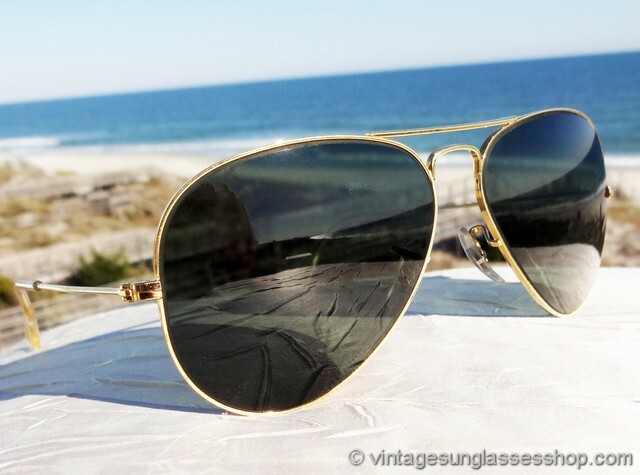 The mineral glass lenses measure approximately 2.25" x 2.125" at the widest points and pre-date the use of the Ray-Ban logo on the lenses, and the unisex Ray-Ban frame measures approximately 5.25" temple to temple and is suitable for both men and women. 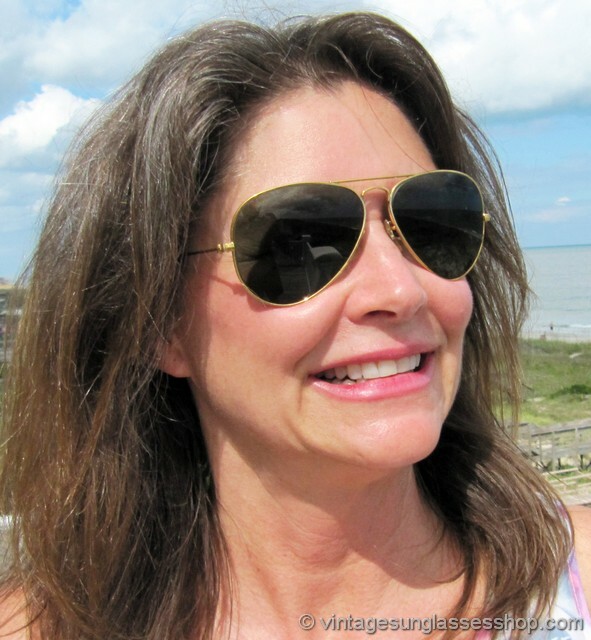 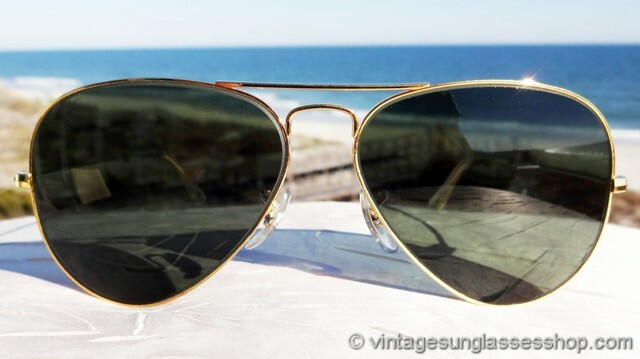 The top of the nose bridge is impressed B&L Ray-Ban U.S.A. while the bottom of the nose bridge is impressed B&L 10k GF USA. 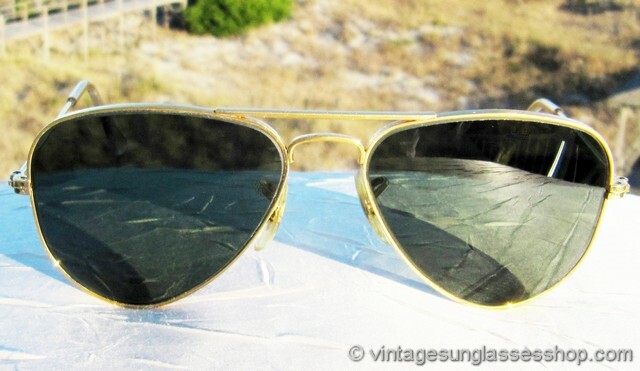 2 Vintage B&L Ray-Ban 10k GF aviator sunglasses are identical to those in #1 but these are slightly smaller Ray-Ban 10k gold filled 58mm aviators. 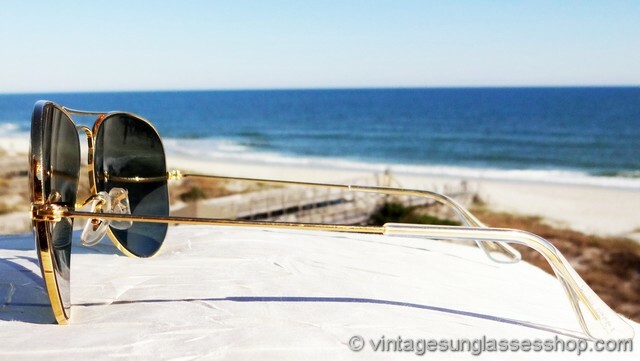 The top of the nose bridge is impressed B&L Ray-Ban USA and the bottom of the bridge is impressed B&L 10k GF USA. 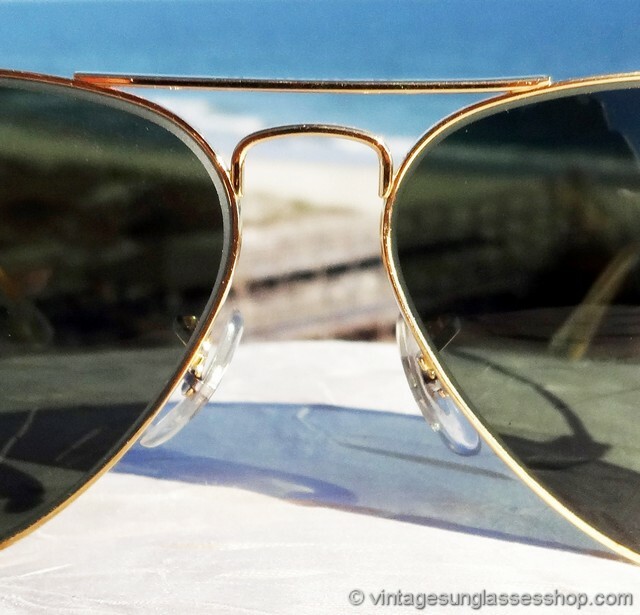 3 Vintage B&L Ray-Ban 10k GO (Gold Overlay) 58mm sunglasses are identical to #2 above but produced a few years earlier c late 1950s / very early 1960s when Bausch & Lomb used the 10k GO mark subsequently replaced with the 10k GF (Gold Filled) mark. 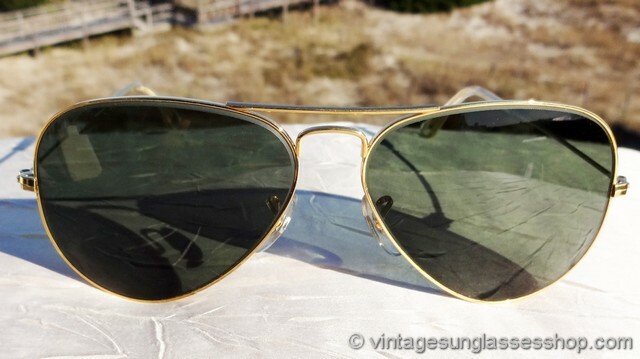 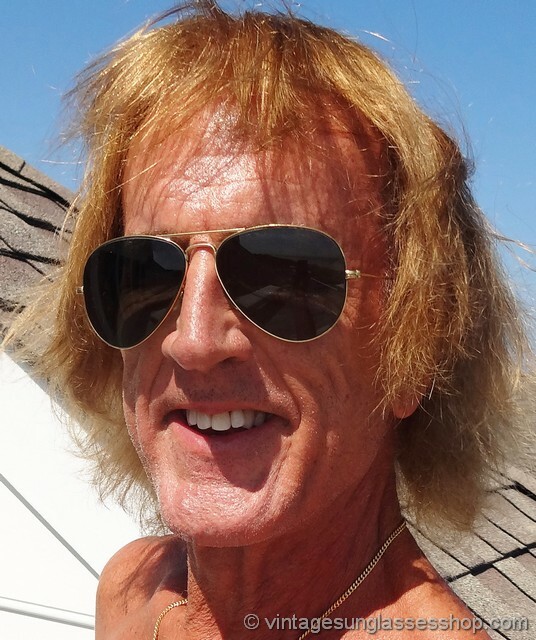 The top of the nose bridge is impressed B&L Ray-Ban USA and the bottom of the bridge is impressed B&L 1/30 10k GO USA.